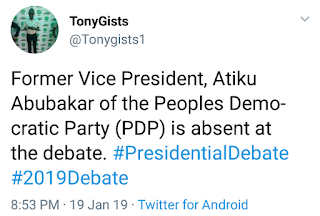 President Muhammadu Buhari, the candidate of the All Progressives Congress, and the candidate of the Peoples Democratic Party, Atiku Abubakar, are absent from the NEDG/BON presidential debate currently holding at the Transcorp Hilton Hotel in Abuja. 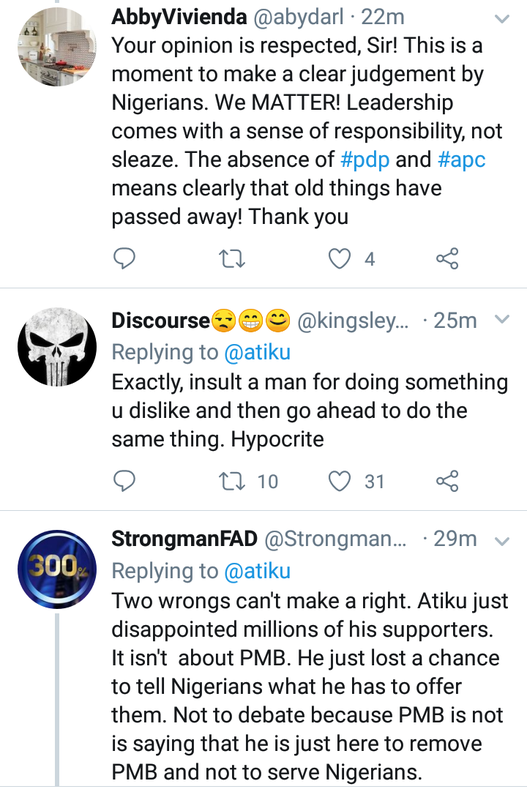 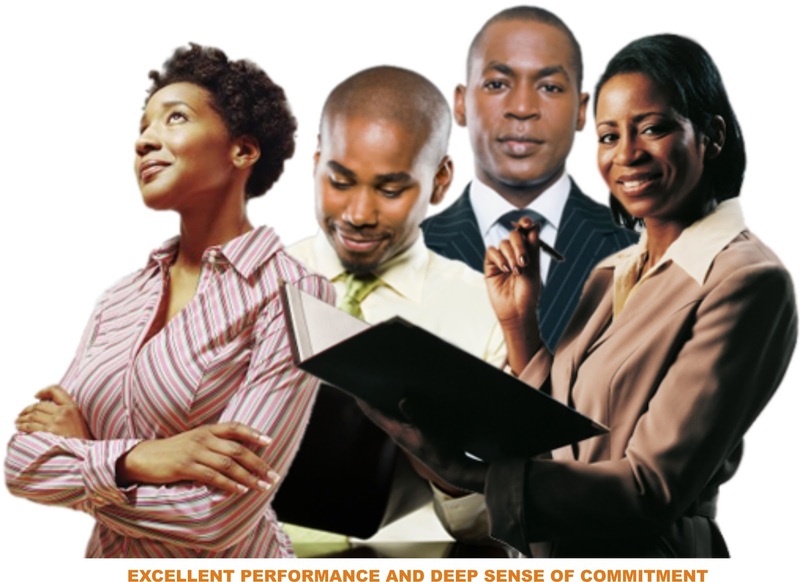 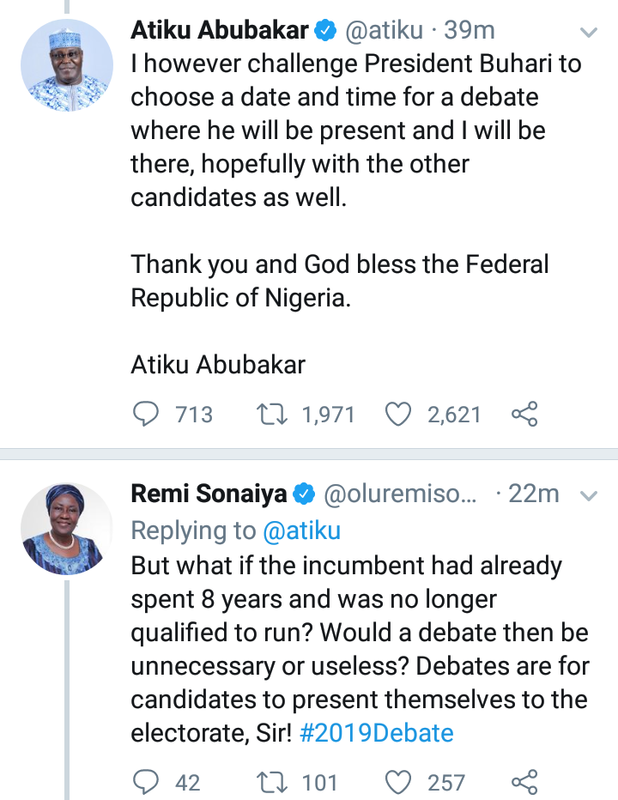 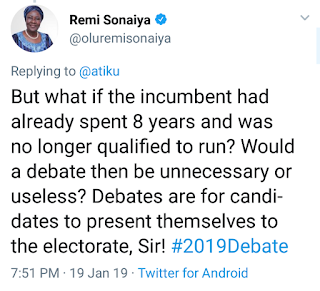 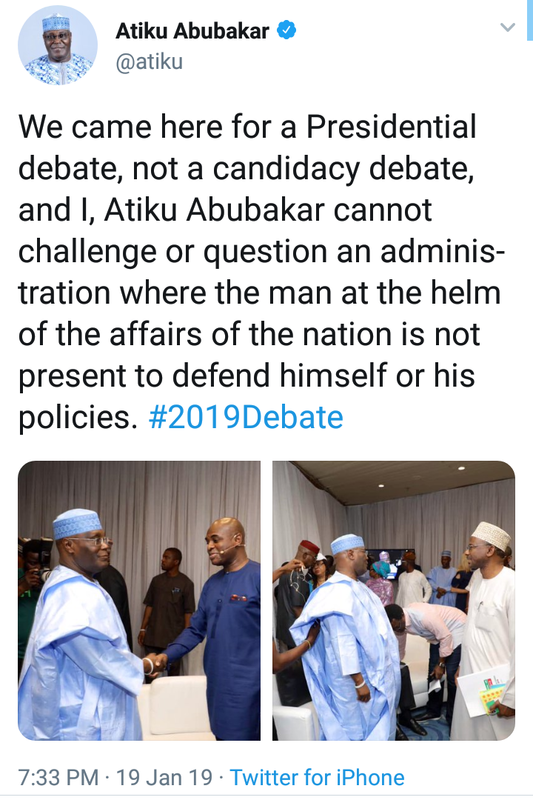 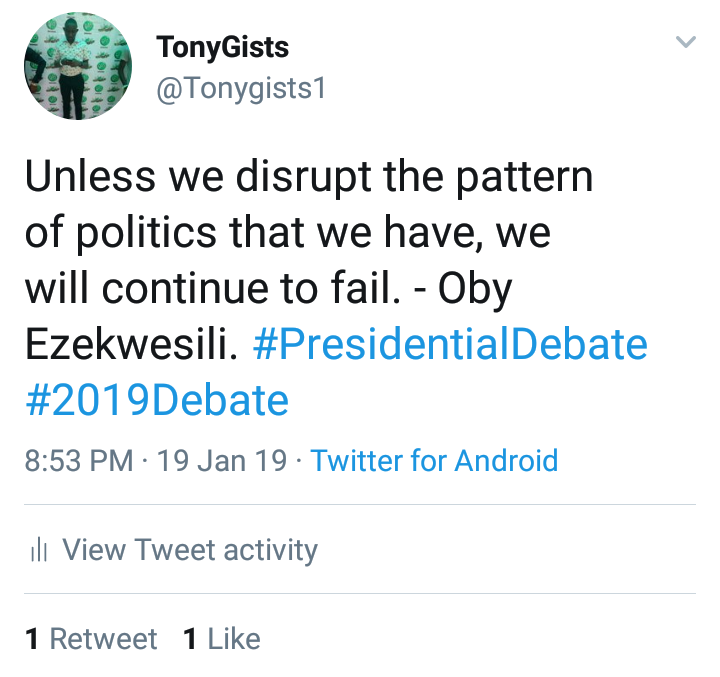 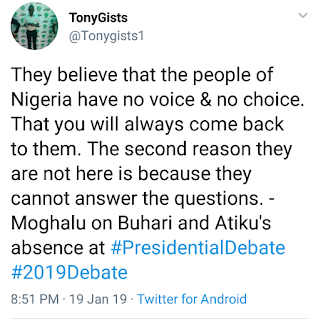 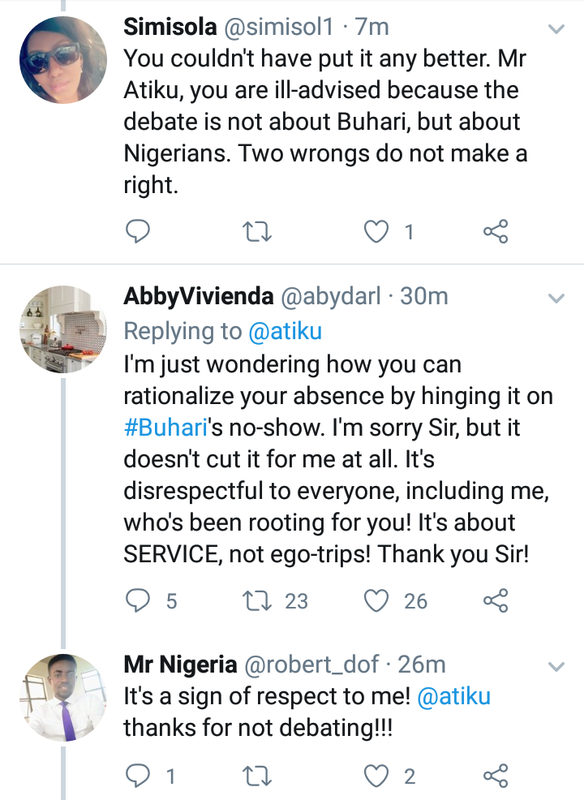 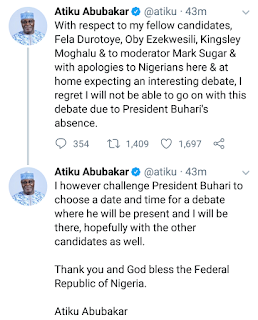 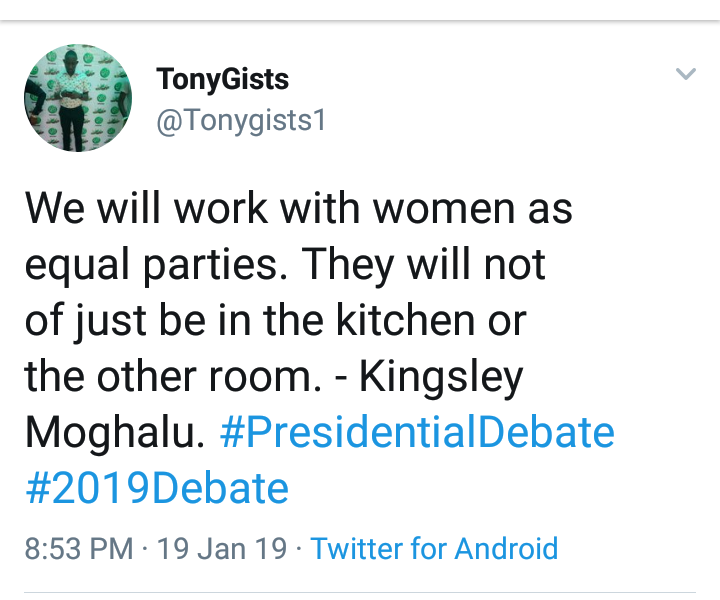 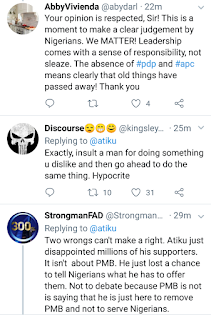 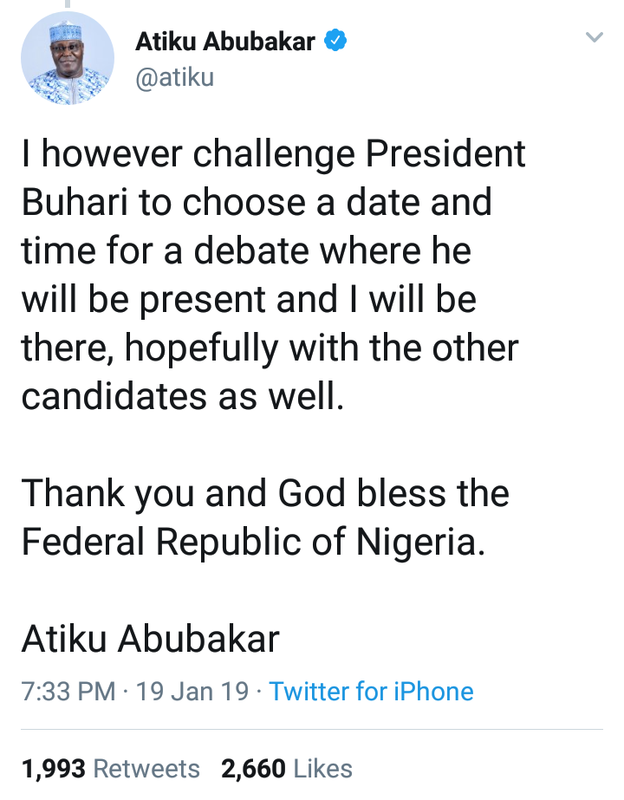 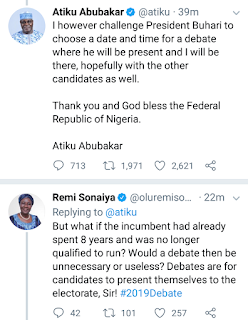 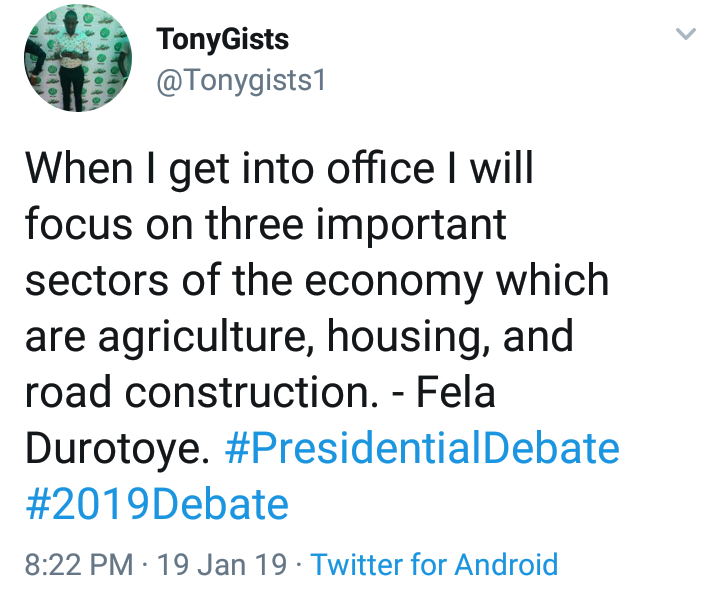 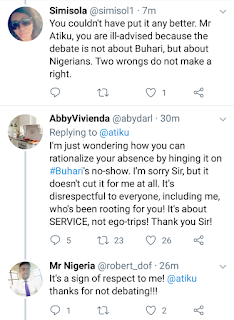 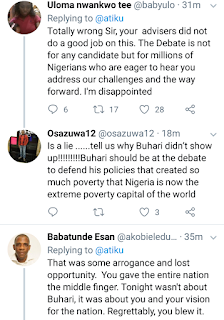 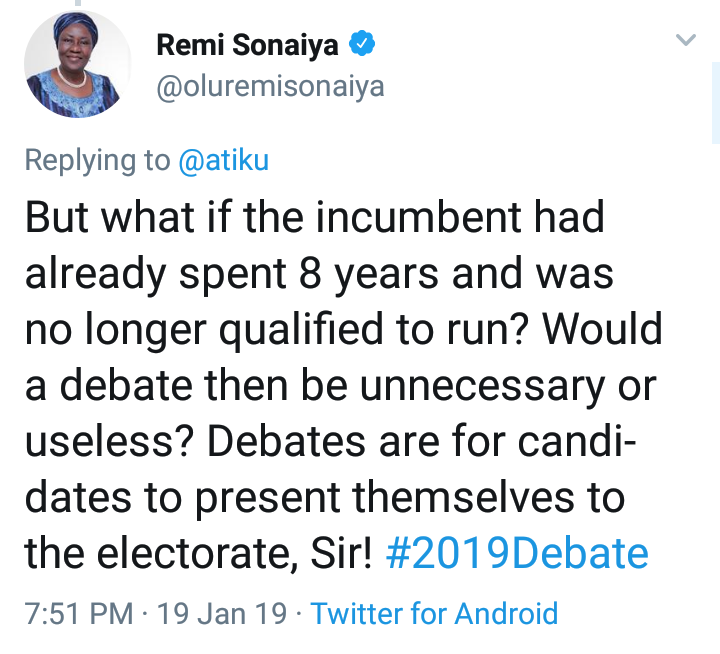 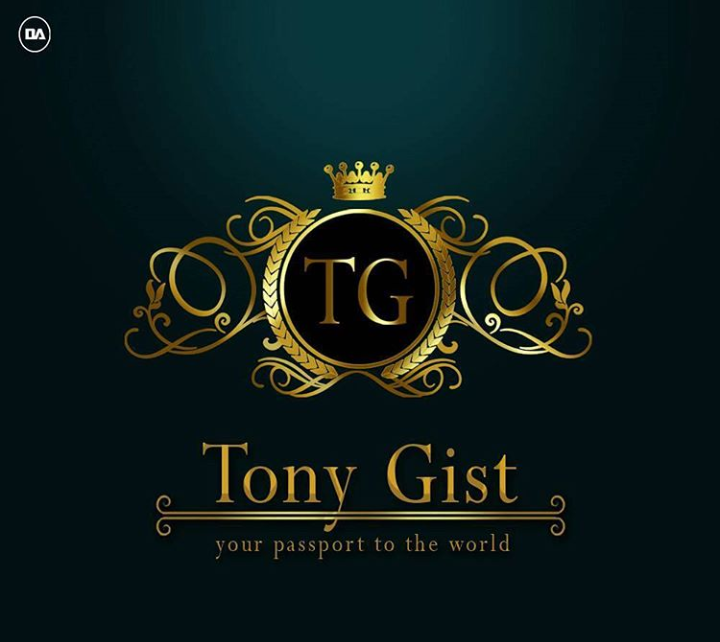 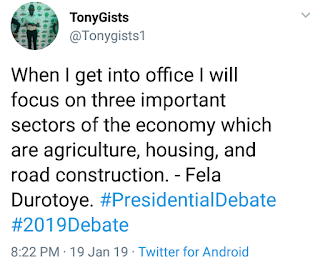 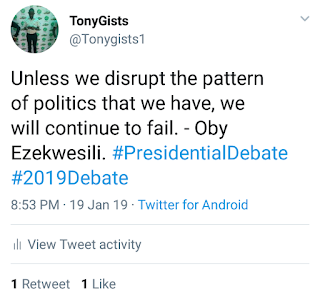 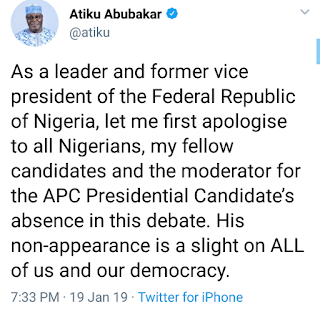 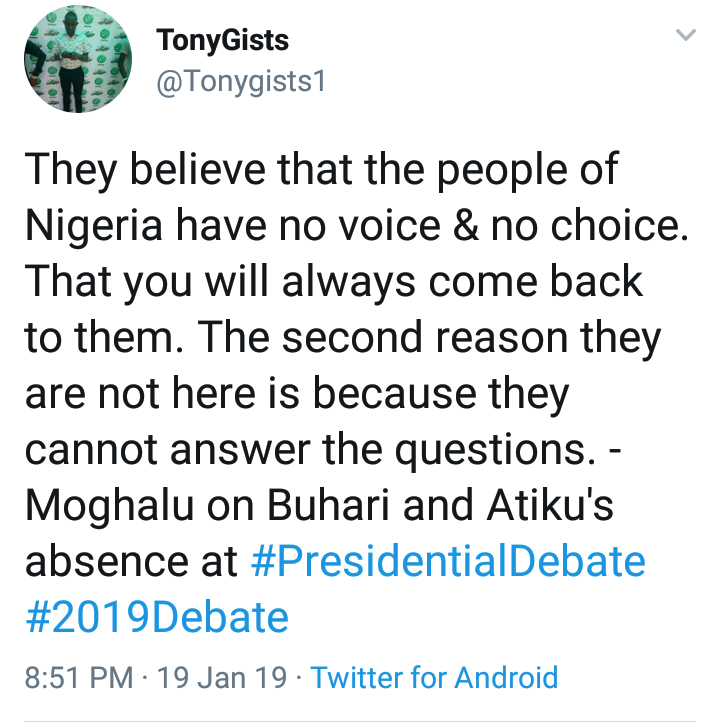 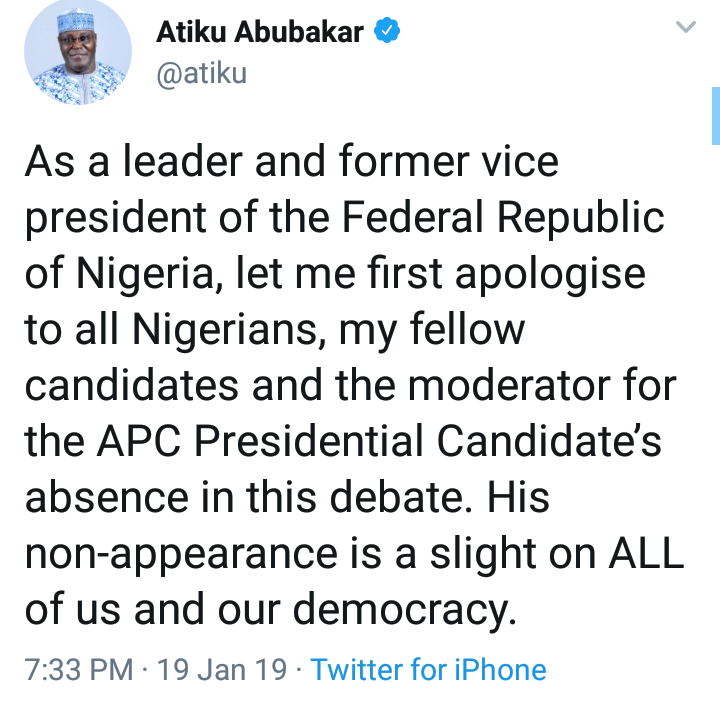 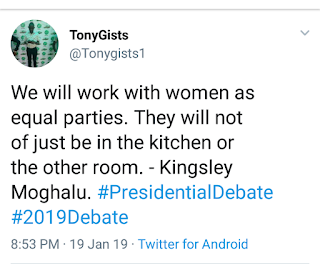 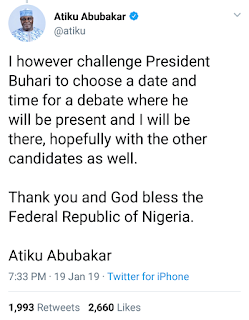 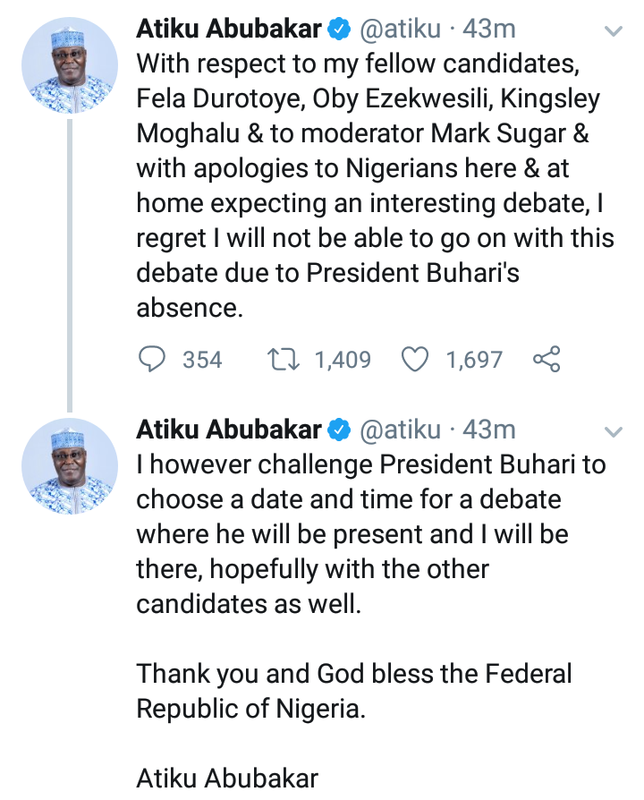 Both candidates had been invited for the debate along with the presidential candidates of the Allied Congress Party of Nigeria (ACPN), Oby Ezekwesili; Alliance for New Democracy (ANN), Mr Fela Durotoye; and Young Progressives Party (YPP), Kingsley Moghalu. 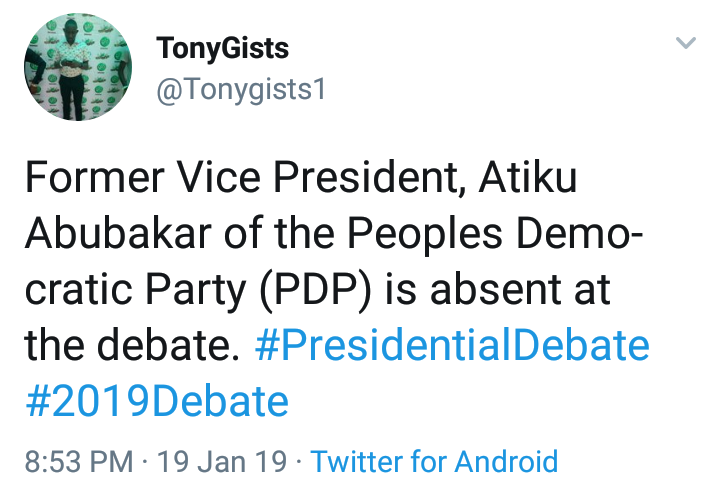 But they were absent at the start of the debate with no reason given for their absence or if they will still show up.